Pat Rodgers - Rodgers Builders, Inc.
Pat’s energy, business acumen and leadership have enhanced a wide variety of organizations far beyond Rodgers. 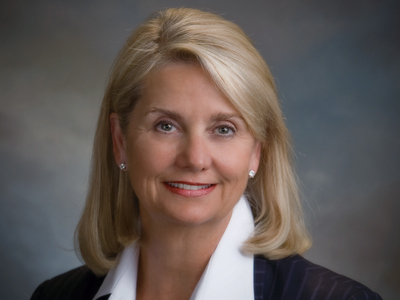 Pat has served as chair of the Construction Industry Roundtable (CIRT), the Charlotte Chamber of Commerce, Charlotte Symphony Orchestra, and has been a board member of Foundation for the Carolinas, Charlotte Merchants Foundation and many other organizations. Pat has received honors including North Carolina’s Order of the Longleaf Pine (one of the highest civilian awards in the State of North Carolina), Echo Foundation’s Award Against Indifference, Girl Scouts Hornets’ Nest Lifetime Achievement Award, and the Urban League’s Whitney M. Young Award. Pat has been named Charlotte Woman of the Year, an Ernst & Young Entrepreneur of the Year® in Real Estate Hospitality and Construction, and Queens University’s Businesswoman of the Year. She has been honored with the Charlotte Business Journal’s Business Person of the Year, as well as their Lifetime Achievement Award.